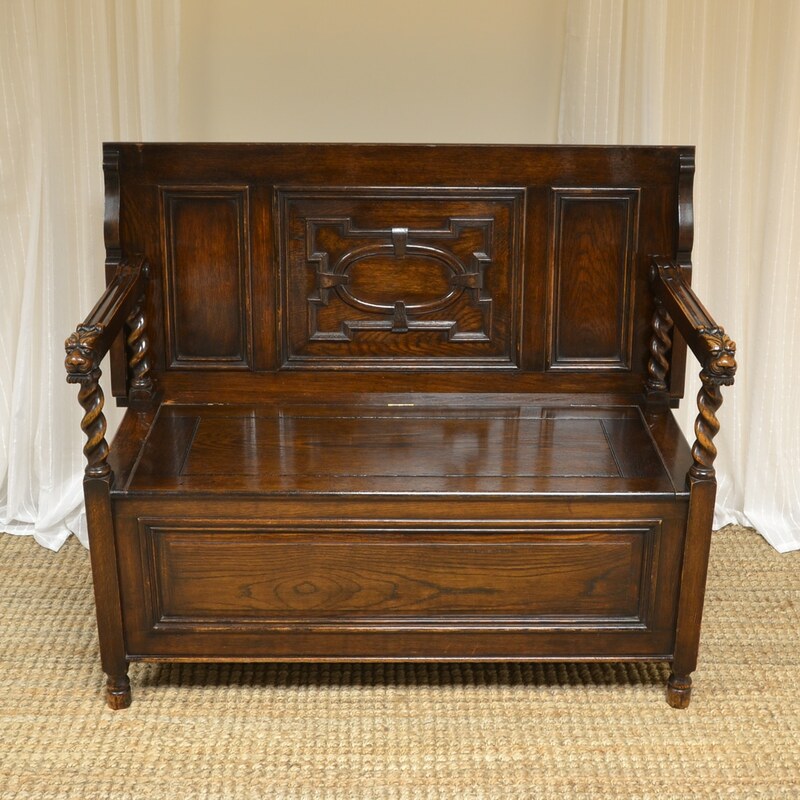 This Quality Edwardian Maple & Co Carved Oak Bench dates from ca. 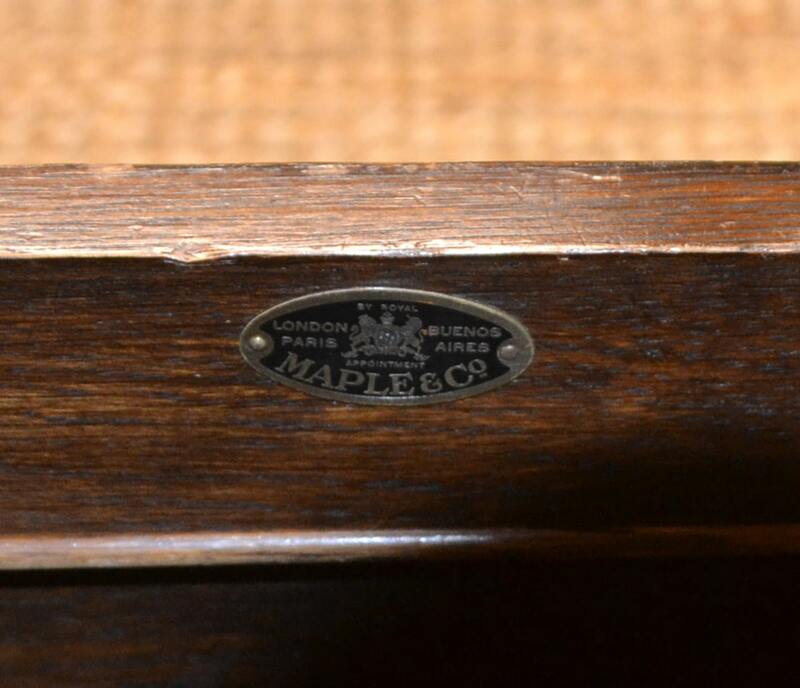 1910 in the Edwardian period. 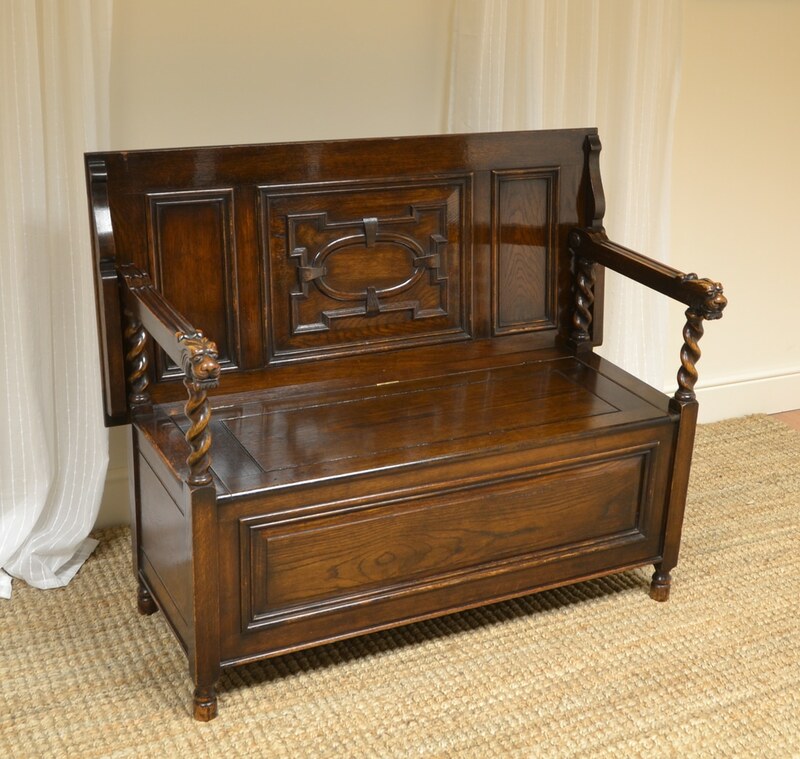 It has a moulded back that folds into a table top if required, sitting above a lift up lid with ample storage, ideal for shoes. 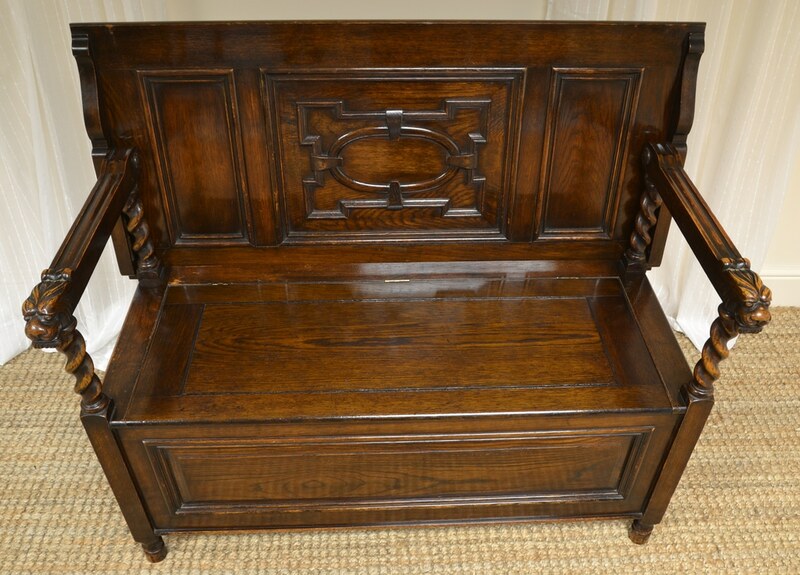 This Quality Edwardian Maple & Co Carved Oak Bench dates from ca. 1910 in the Edwardian period. 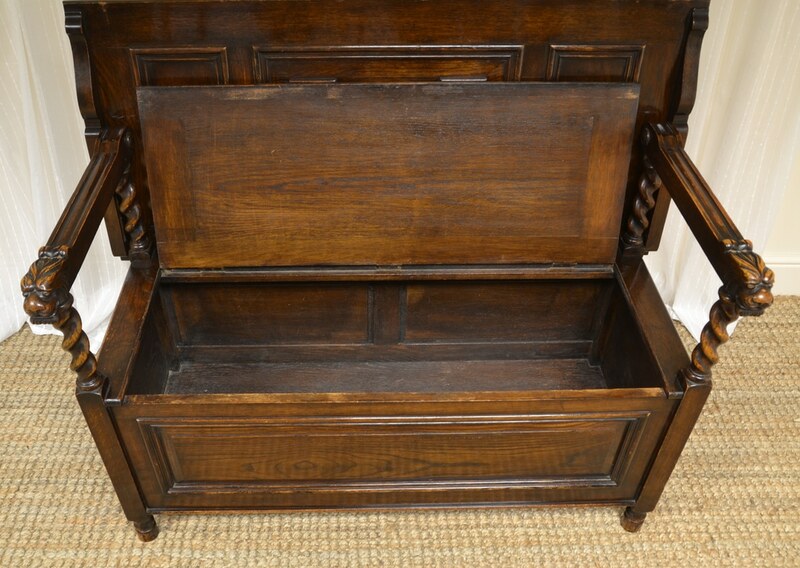 It has a moulded back that folds into a table top if required, sitting above a lift up lid with ample storage, ideal for shoes. 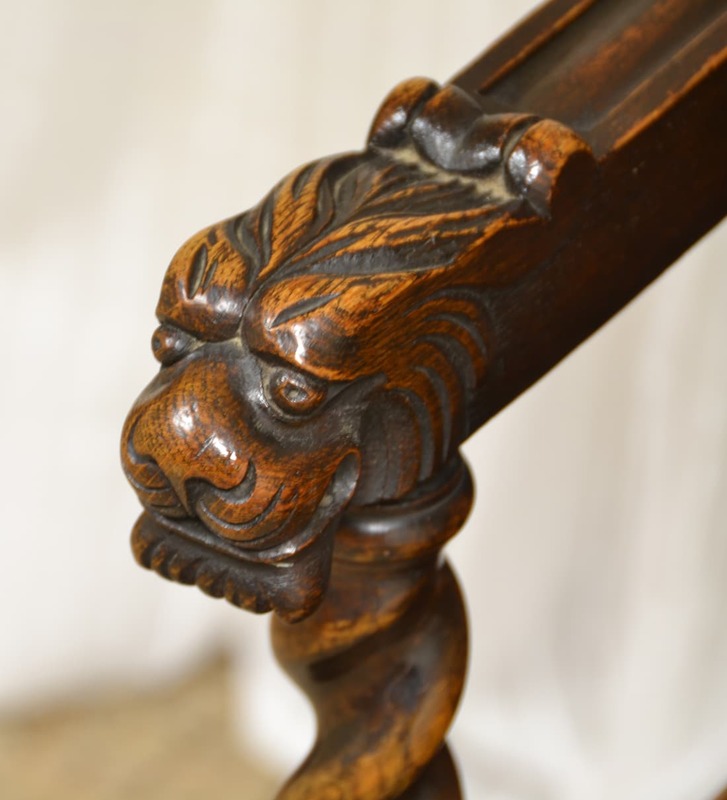 This fine quality bench has two moulded arms with spectacular Lion carved heads and barley twist supports, it stands on small turned feet and has lovely charm and character. 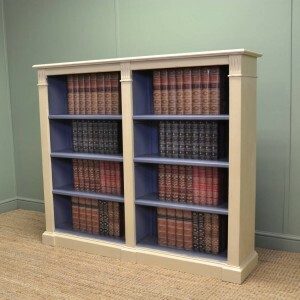 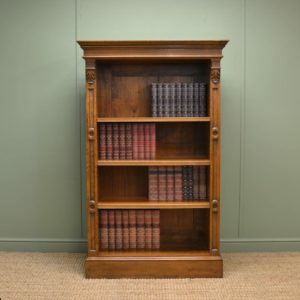 It has aged to a warm shade with a striking grain, good patina, is in very good condition and has been beautifully cleaned using a traditional form of wax finishing. 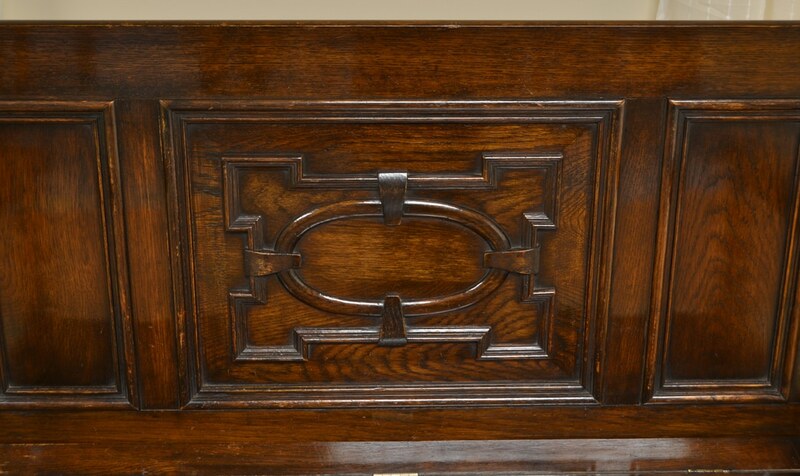 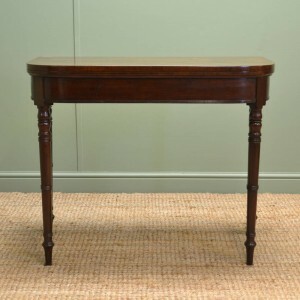 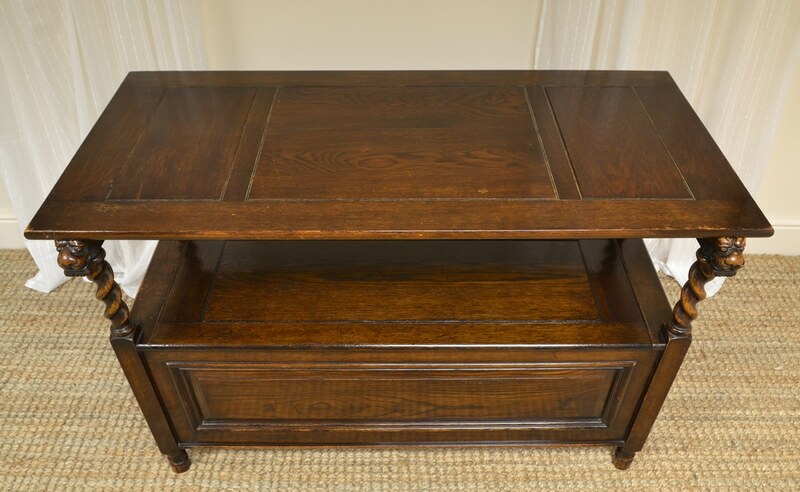 Antique Regency Mahogany ‘D’ end Card Table / Side Table. 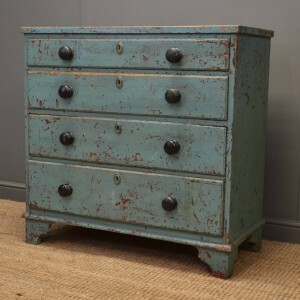 Rustic, Painted Georgian Antique Chest of Drawers.